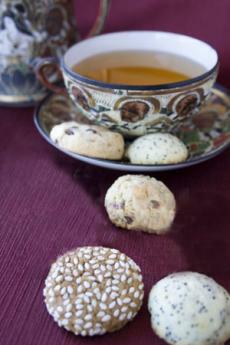 These tiny Dough Ray Me cookies, a Nibble Top Pick, make a perfect companion for tea time. When was the last time you had afternoon tea? Most of us have forgotten about the ritual that used to be part of everyday genteel life. Even if you prefer coffee to tea, this elegant social and gustatory delight should be experienced more often—if only as a reason to get out the good china, see your friends and enjoy those delightful little sandwiches and pastries. Revive the art of the tea party: Be the kick-off host and get your circle of friends to take turns hosting tea on the last Sunday of the month (or whenever). It’s much easier than preparing brunch, and since tea begins at 4 p.m., you don’t have to wake up early. Click here for a good book to start you on your way (the book can be passed from host to host). Learn how to brew the perfect cup of tea at THE NIBBLE online magazine.